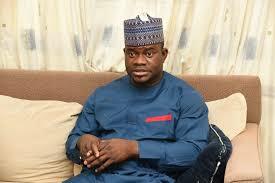 The governor of Kogi State, Yahaya Bello, has revealed the advice he and his colleagues got from President Muhammadu Buhari yesterday. Recall that state governors, under the platform of the ruling All Progressives Congress, APC, on Tuesday night met with Buhari at the Presidential Villa, Abuja. The Chairman of the APC governors’ forum, Rochas Okorocha, had earlier said they met the President to congratulate him on events for the new Democracy Day. His Kogi state counterpart, Bello however said that the President directed them to approach the forthcoming convention of the party as a united family. According to Governor Bello, “Mr President is our father and as Governors of APC, we usually meet with him from time to time to rub minds and discuss issues that concern our party and the country. “He wished all of us well and advised that we should approach the convention in unity and we all agreed to go there in unity and come out stronger,” he said. He commended Buhari for honouring the late Moshood Abiola on June 12, 25 years after the 1993 election was annulled.